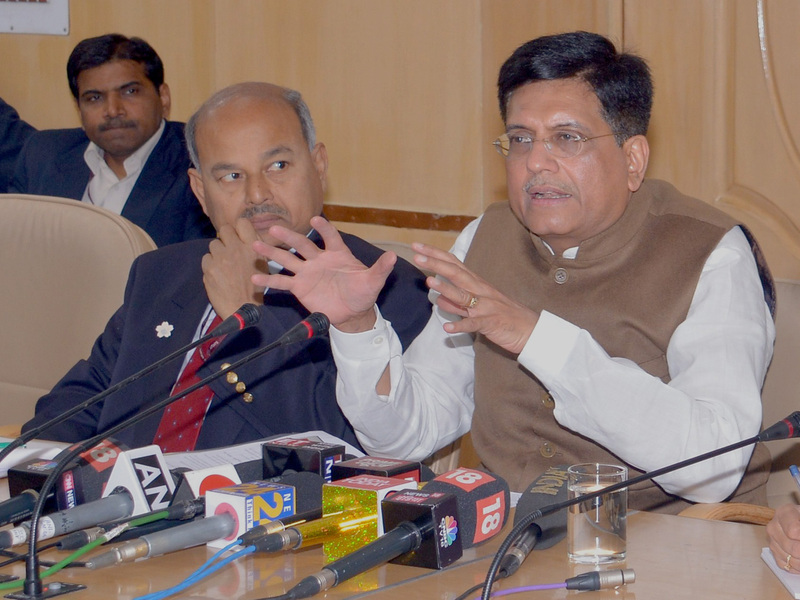 The Union Minister for Railways and Coal, Shri Piyush Goyal briefing the media on cabinet decisions regarding Ministry of Railways and Coal, in New Delhi on February 20, 2018. The Secretary, Ministry of Coal, Shri Susheel Kumar is also seen. New Delhi: Union Cabinet approves 130 km long Jeypore-Malkangiri New Line project, says Union Minister Piyush Goyal.